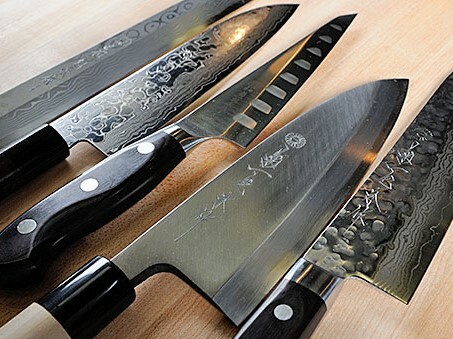 Come to Kikuichi Cutlery in Nara and Save up to 70%! We also offer a double chance to win our good quality items! February 15 – 17, 10am –4pm. We are open 10:30-16:30 (L.O.16:00). The short feature of Kikuichi Pearling knife was published on Popular Science magazine. 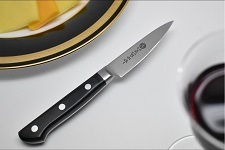 Bring our remarkable paring knife out of the kitchen and to your dining table. Check out the short feature in popular science magazine. 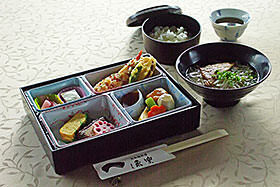 The story of kikuichi as recently published on Stories and Objects. Our president tells us some of her feelings about taking over the 750 year old family business while upholding the valued tradition in changing times. 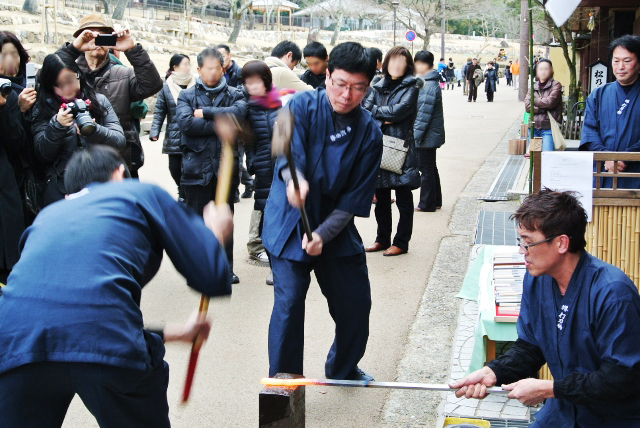 We will conduct a Forging Demonstration to celebrate the 20th Anniversary of Kikuichi NY. 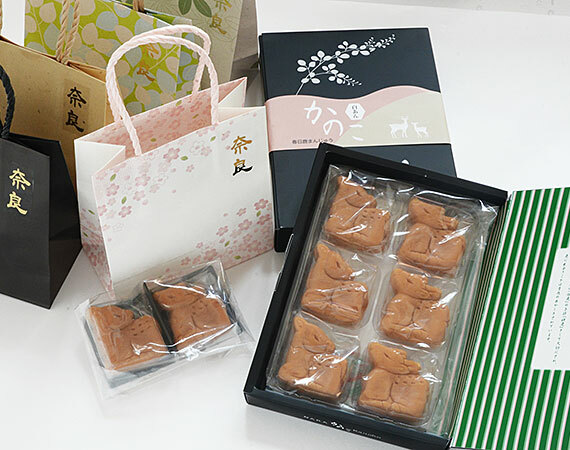 Place : Kikuichi Monju Shiro Kanenaga, Inc.
We are happy to announce that our deer-shaped pastry [Kanoko] will get 1 year anniversary. We will start selling a new flavor ‘custard cream’ on September 15, 2017 and hold special campaign as below. Date :　September 15 ~ September 24. Main Feature:　You buy [Kanoko] box (6pcs or 2pcs), we will give you a special discount coupon and 1 custard cream [Kanoko] until it is running out. Please be aware that some malicious spam messages containing malware have been reported to include our company name. Kikuichi will never send voice messages or other types of unsolicited attachments. Please do not open these files and make sure that your computer has the latest antivirus updates.Thank you. 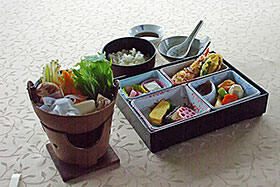 In gratitude for our customers' patronage, we hold an annual Hamono Matsuri cutlery fair every winter. 1. Special sale of cutlery with small defects - up to 70% off the regular price. 2. Apple peeling competition. Prize will be given to the winner. 3. Free knife sharpening. Bring a knife purchased at Kikuichi and you can have it sharpened for free. Free lessons will be given three times a day during the fair. Kikuichi and our affiliated stores will be open as follows from December 31, 2016 to January 3rd, 2017. 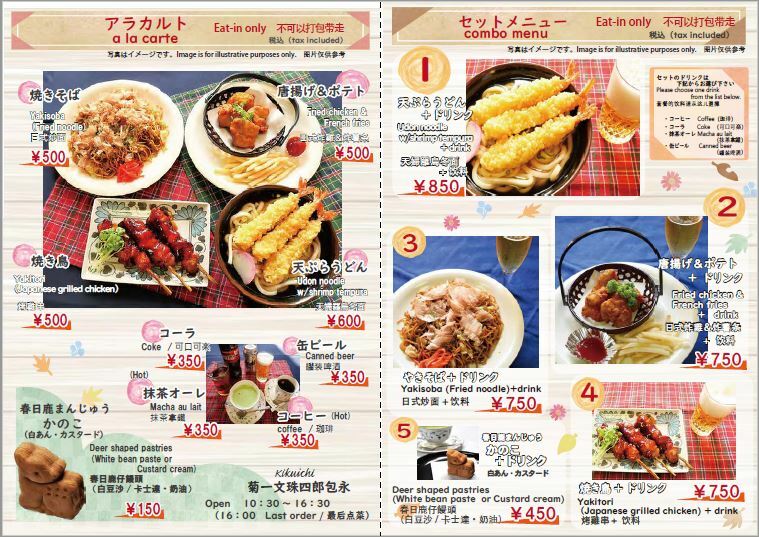 Eiraku's lunch and dinner menus during the year-end and new year holidays. 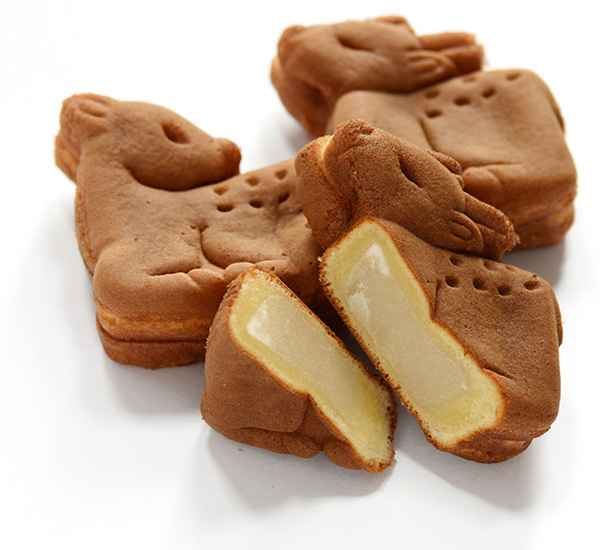 The deer-shaped pastries, Kanoko, are now available at all of our stores in Nara and our online store. 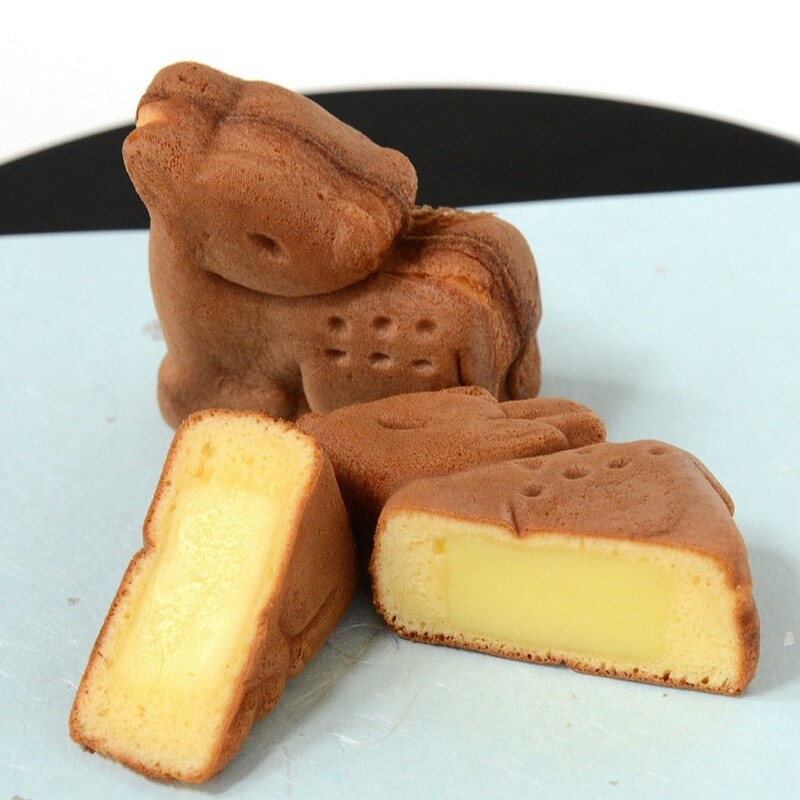 We will start selling our brand-new product "Kanoko", deer-shaped pastries, on September 16, 2016. 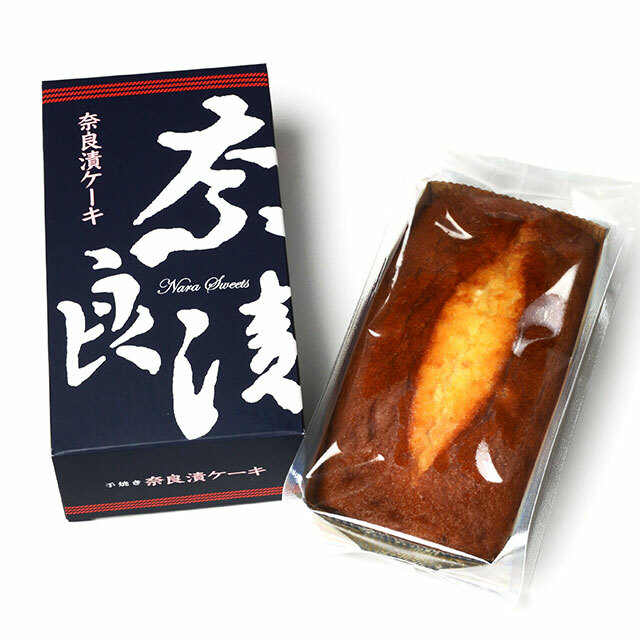 In commemoration of the release, we will dedicate the pastries to the Kasuga Taisha Shrine. We will also hold a tasting event for "Kanoko", in which you can observe the baking of the pastries. *Feel free to visit us during those hours. Visit the Kikuichi Main Store, like us on our facebook page or write a review on TripAdvior, and you will get a soft serve ice cream cone for free. Offer ends August 31, 2016. Ask us for more details at the store. One of our gift stores, Tsukena Eikichi at Kintetsu Nara station is currently under renovation. It will reopen on April 15, 2016. 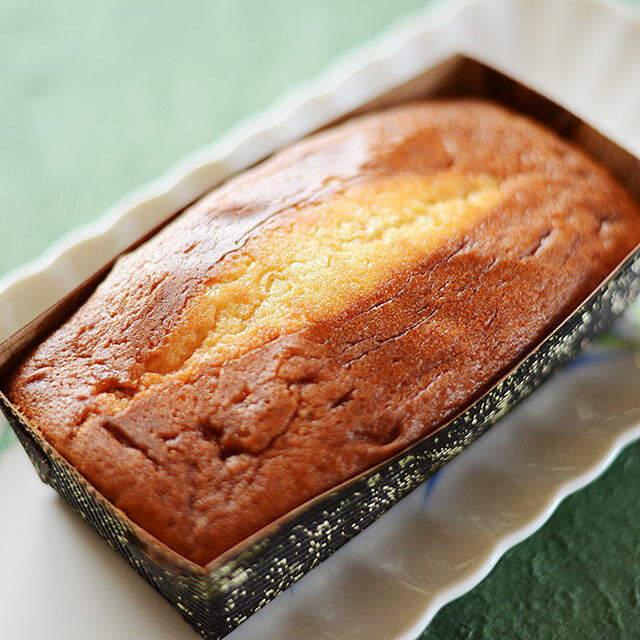 After developing several prototypes, we finally put the Narazuke Pound Cake on sale in January 2016. 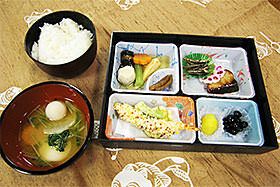 Since its debut, it has been popular at our local stores in Nara and is now available online. 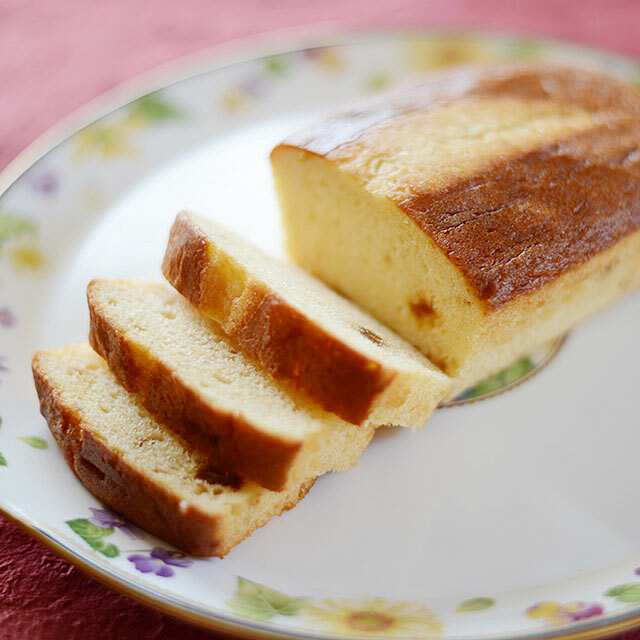 The pound cake was also served at a UN ambassador's party in NY and received good reviews. 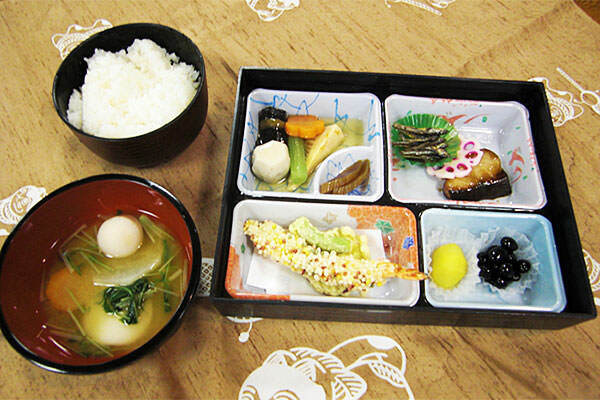 Enjoy the surprisingly perfect harmony of moderate sweetness and salty pieces of narazuke. 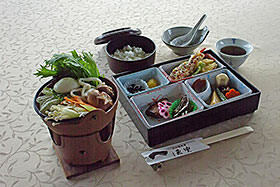 A cooking and tasting event of Kasuga Hakutaku Udon was held at a local restaurant Shiki Shiki in Nara City on Feburuary 13, 2016. It was part of the marketing reseach tour we organized to seek avenues to export products of Nara to overseas. 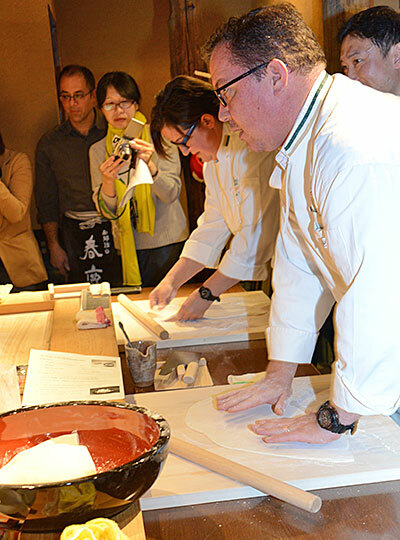 Food experts from the United States invited to the tour got a hands-on experience of udon making and later cooked their own dishes using Hakutaku Udon. Attendees who tasted them loved the modern flavor of the traditional Japanese noodles. There might come a time when Hakutaku Udon will be accepted as new cooking ingredient in the United States. It is said that present-day udon noodles have their roots in the hakutaku made and served to Imperial envoys by a group of shrine maidens while ceremonial gagaku music and dancing were performed at Kasuga-taisha Grand Shrine in the Heian period (794-1185). In commemoration of the reproduction of Hakutaku Udon, "Modern Kasuga Hakutaku Dance" was performed at Kikuichi main store on February 12, 2016.